Bayern Munich president Uli Hoeness has promised that the club will undergo their 'biggest investment programme' ever this summer. The Bundesliga champions have already wrapped up a deal for World Cup winning defender Benjamin Pavard ahead of the summer transfer window, but recent transfer rumours suggest that Bayern Munich are from done in the market. Hoeness himself confirmed that Bayern Munich were looking to break the mould this summer by spending big on a handful of young players who could help bring the club into a new era. 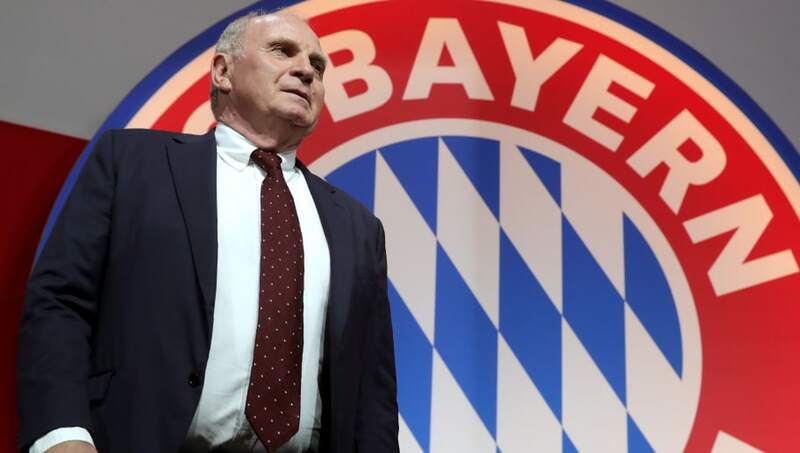 "We are in the process of rejuvenating our team," Hoeness said, quoted by Sport Bild. "This is the biggest investment programme that FC Bayern has ever had." Pavard's arrival from Stuttgart this summer for €35m will help provide some versatility to Bayern Munich's defence next season, as although the 22-year-old won the Wolrd Cup as a right back he has played his best football as a central defender. The same can also be said for one of the club's main targets this summer, Lucas Hernandez. It has been widely speculated that Bayern will meet the Frenchman's €85m release clause, something which will see him leapfrog Corentin Tolisso as the Bavarians' record signing. Also on Bayern Munich's list are LOSC Lille star Nicolas Pépé and Chelsea's Callum Hudson-Odoi. But Alphonso Davies' first ever goal for the club against Mainz last weekend has lessened their need for a new winger, although Kingsley Coma's persistent injury problems can leave Bayern Munich with a weak point in their attack.